You know your business would improve if you networked, but you’re just too uncomfortable to try. (Read the “Comfort Zone” post to get a perspective on discomfort.) The truth is, anyone can benefit from networking. Natural networking removes the intimidation factor: you’re already doing it! 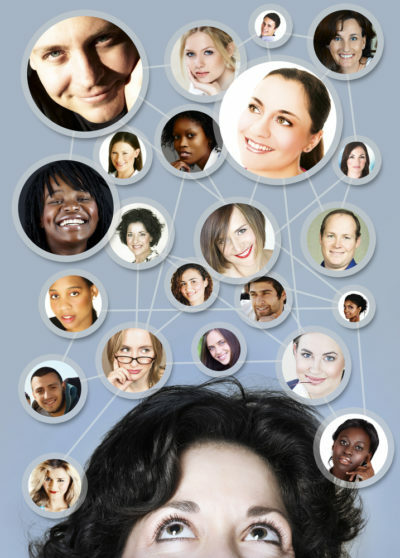 Another truth is that you probably already do natural networking in your daily life without realizing it! Parents, how have you found babysitters? Often it’s through a friend or friend of a friend, right? How did you find the person who cuts your hair or walks your dog? How about your accountant, primary-care doctor? Many of the folks in your life probably came through people with whom you have trusting relationships—or their trusted relationships. Networking doesn’t have to be a huge crowd scene with people papering each other with business cards. It can be as easy as getting together with people you already know to do things you enjoy doing. How? Well, you talk about what’s going on in your personal and professional lives. You listen as well as talk. And you listen for the ways in which you can help, through introductions to friends and others you trust who may also be able to make useful introductions. And you let the person you’re with know whom you’d like to meet. It’s easy and fun. And it’s how successful people in all walks of life help build their businesses and populate their lives. It’s a win-win! If you have trouble doing this or even imagining yourself networking, you may want to take a look at what’s getting in the way. You may be concerned about what other people will think of you. Or your anxiety may inhibit you in networking or social situations. Or it feels like too much work. Or it seems humiliating to ask for help. There may be any number of reasons. Therapy can help you determine and explore your reasons and get to the underlying issues, so that you can get out of your own way. Then networking can be a natural and comfortable part of your everyday life, and you can start to enjoy the resulting success. If you’d like to learn more, reach out to me here. I look forward to speaking with you.